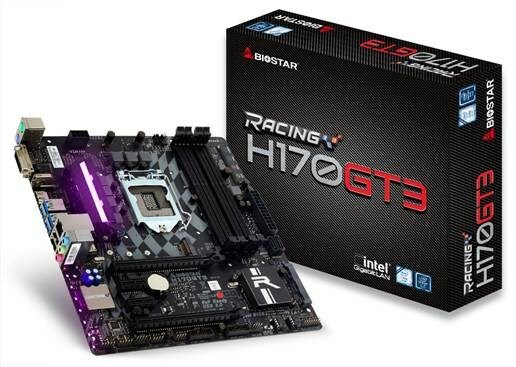 Biostar shows off its new Racing H170GT3 for Intel's LGA1151 processors. This board features 7-phase power, support for four DDR4-2133 modules, two PCIe x16 3.0 slots, one M.2 slot, two SATA 6Gbps ports, one SATA Express 16Gbps port, and eight USB 3.0 ports. One of the special features is the Viviv LED DJ, this lets you control the LEDs integrated into the VRM heatsink.